Cursed is the man who trusts in human beings, who makes flesh his strength, whose heart turns away from theLord." (Jeremiah 17: 5). Blessings and curses depend upon our trust or lack of it in the Lord. "Blessed are those who trust in the Lord; the Lord will be their trust." (Jeremiah 17: 7). When you trust God, God becomes your security in everything. The person who hopes (waits expectantly) in the Lord is promised to yield fruits in due season. His leaves never fade. The Holy Spirit directs his steps and so whatever he does prospers. 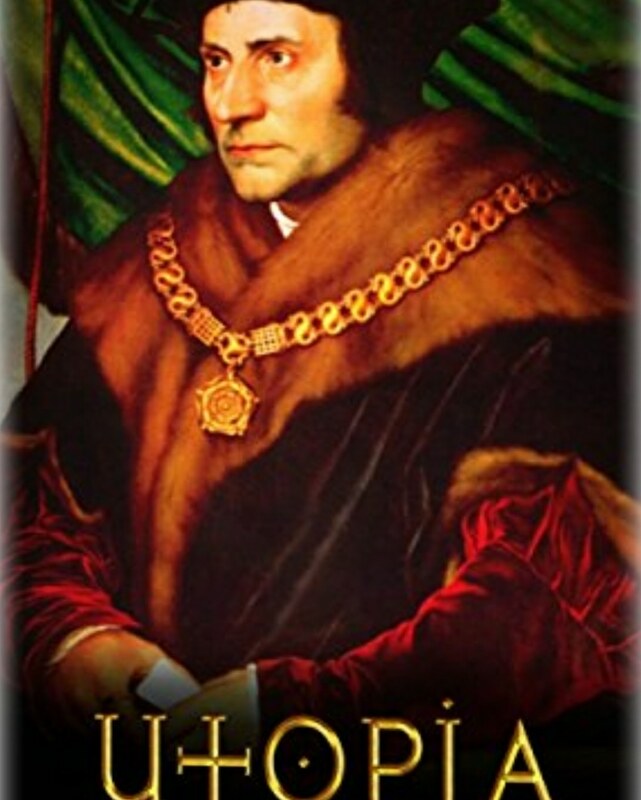 These four men served King Henry VIII in England in the 16th century: Cardinal Thomas Wosley, Thomas Cromwell and St Thomas More & St John Fisher. Cardinal Wosley and Cromwell trusted in the king rather than God. They both died a miserable death. 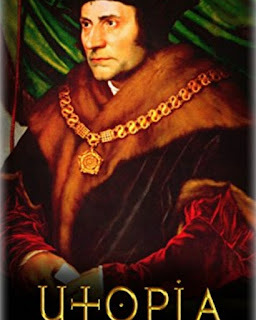 Thomas More and John Fisher trusted in God. They are saints and venerated all over the world. "Woe to you when all speak well of you, for their ancestors treated the false prophets in this way." (Luke 6: 26). "The Lord God then called to the man and asked him: Where are you?" (Genesis 3: 9). #1 For deceiving Adam and Eve, the Serpent was cursed and chastised. 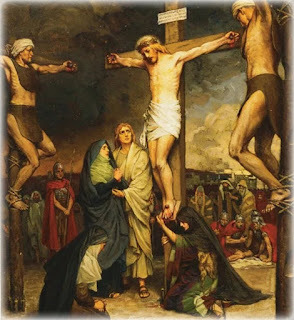 We may say that this deepened his envy and hatred for mankind. 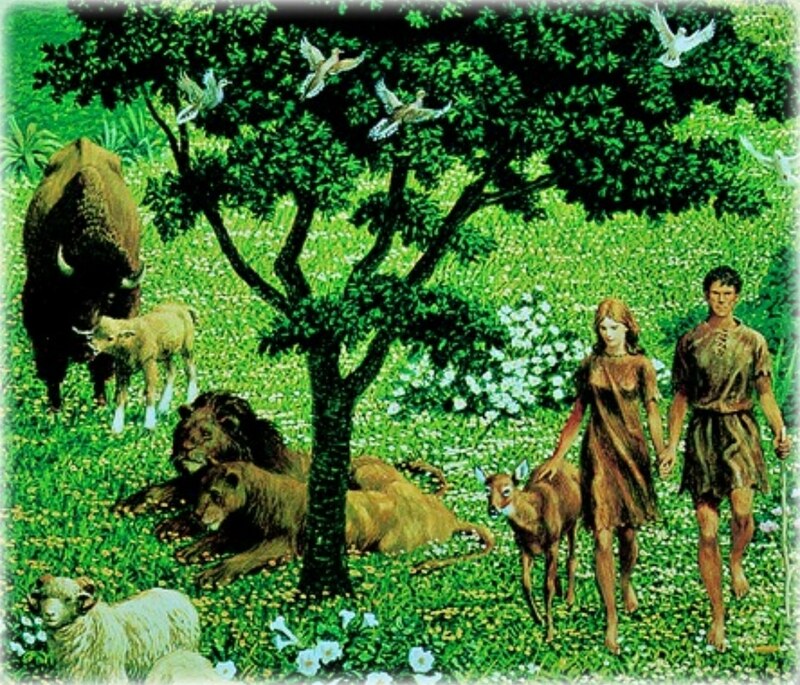 #2 The ofsprings of Adam and Eve became marked by Original Sin. They lost the original innocence. #3 "I will intensify your toil in childbearing; in pain you shall bring forth children." (Genesis 3: 16). #4 "Your urge shall be for your husband, and he shall rule over you." (Genesis 3: 16). This is one a gravest consequence of Original Sin. This curse affects the state of peace and friendship between man and woman. The infidelities, fightings, divorces can all be attributed to this curse. Eve's disobedience shattered the original innocence of the first Creation. #5 And to man, "Cursed is the ground because of you! In toil you shall eat its yield all the days of your life." (Genesis 3: 17). What does this mean? Human labor becomes cursed along with the earth. "I will put enmity between you and the woman, and between your offspring and hers; They will strike at your head, while you strike at their heel." (Genesis 3: 15). We have here in Genesis 3: 15, a glimpse of the the Good News. God will send His Son Jesus Christ to redeem the world. Did God really tell you that? "Now the snake was the most cunning of all the wild animals that the Lord God had made." (Genesis 3: 1). Chapter 3 of Genesis is probably the most important chapter in the Bible. We see here a number of crucial salvation history themes: the Serpent, the Fall of Adam and Eve from grace, the Proto Evangelion, God's swift move to restore Man to favor through the Incarnation of His Son Jesus. We know that Satan is cunning beyond compare. We know thanks to Jesus that he is the Father of lies. But how much do we know of his implacable hatred of mankind and his insane envy of human beings? When Eve informed Satan that God forbade them to touch the tree in the middle of Eden, Satan countered by sowing doubts in the mind of Eve. Did God really tell you that? "God knows well that when you eat of it your eyes will be opened and you will be like gods, who know good and evil.” (Genesis 3: 5). The woman's first serious mistake was to open up to discussion a subject that should be totally closed. The Commandment of God. The core rule of Discernment of Spirits: Any fear, worry and doubt is Never from God. Fight to banish it at once. ‘One does not live by bread alone, but by every word that comes forth from the mouth of God.’” (Matthew 4: 3 - 4). We learn a lot from the combat of Jesus with Satan in the Desert. The woman's persistence in continuing this foolish conversation handed the victory to Satan. "The woman saw that the tree was good for food and pleasing to the eyes, and the tree was desirable for gaining wisdom." (Genesis 3: 6). "Rebellion is as sinful as witchcraft, and stubbornness as bad as worshiping idols." (1 Samuel 15: 23). to accept the words of your Son." (Cf Acts 16:14). Your wife will be a faithful friend. 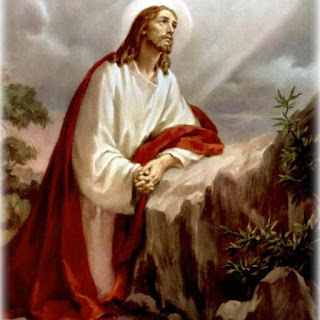 "The Lord God said: It is not good for the man to be alone. I will make a helper suited to him." (Genesis 2: 18). Today we reflect on God's plan and promises to man and woman. What a wonderful and glorious aspirations God had for human beings. This one shall be called ‘woman'." (Genesis 2: 23). The man was elated to have a beautiful and suitable friend and soul mate. "Faithful friends are a sturdy shelter: whoever finds one has found a treasure. Faithful friends are beyond price; no amount can balance their worth. Faithful friends are life-saving medicine; and those who fear the Lord will find them.” (Sirach 6: 14 - 16). Those who fear the Lord shall enjoy faithful partners and friends. And more. Your children like young olive plants around your table. Just so will the man be blessed who fears the Lord." (Psalm 128: 3 - 4). “Let the children be fed first." (Mark 7: 27). Don't touch that tree in the middle. "The Lord God gave the man this order: You are free to eat from any of the trees of the garden except the tree of knowledge of good and evil. From that tree you shall not eat; when you eat from it you shall die." (Genesis 2: 16 - 17). After the Lord God settled Adam in the luscious Garden of Eden, He gave Adam one simple order: Enjoy everything you like in the Garden. Don't touch that tree in the middle. Don't eat of its fruit. But Adam was unable to keep this simple command. "From within people, from their hearts, come evil thoughts, unchastity, theft, murder, adultery, greed, malice, deceit, licentiousness, envy, blasphemy, arrogance, folly. All these evils come from within and they defile.” Jesus teaches. (Mark 7: 21 - 23). "But if you are guided by the Spirit, you are not under the law. Now the works of the flesh are obvious: immorality, impurity, licentiousness, idolatry, sorcery, hatreds, rivalry, jealousy, outbursts of fury, acts of selfishness, dissension, factions, occasions of envy, drinking bouts, orgies, and the like." (Galatians 5: 18 - 21). There is no remedy for evil and sin except in the provisions of the second creation: You must be born again in Spirit and fire. Have you undergone this baptism? Do you want it? God created man and woman equal but different. "Then God said: Let us make human beings in our image, after our likeness. Let them have dominion over the fish of the sea, the birds of the air, the tame animals, all the wild animals, and all the creatures that crawl on the earth." (Genesis 1: 26). What can we learn from the story of creation from Genesis to nourish our souls? #1. Human beings are the only thing God created in His image and likeness. This truth lays the foundation for the rest of the story of man in the Scriptures. God gave man free will and never curtailed or interfered with man's liberty. #2. God gave humans dominion over the works of His hands. This is an incredibly important fact. If man wants to destroy his natural environment, he is free to do so but the consequences will be dire. #3. "God created mankind in his image; in the image of God he created them; male and female he created them." It is a silly falsehood to imply that God did not purposely make man and woman equal ontologically but different physiologically and psychologically. Each being attuned to its grand purpose in the logic of creation. #4. 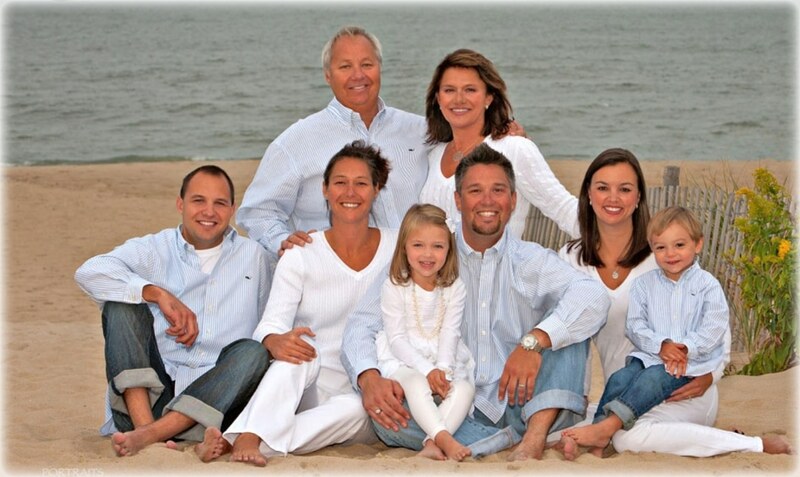 "God blessed them and God said to them: Be fertile and multiply; fill the earth and subdue it." (Genesis 1: 28). We are richly blessed by our Creator. But this is the first creation. The second creation gets better. 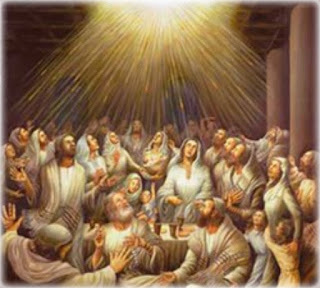 Man will receive the Holy Spirit living inside him. I like the way St Augustine puts it: "God became man so that man will become god." World Day of Prayer for the Sick. This Gospel is so appropriate for the Feast of Our Lady of Lourdes which we celebrate today. February 11 is also the World Day of the Sick, an observation introduced by Pope St John Paul II as a way for Christians to pray for those with all types of health issues. Lourdes in France is the premier pilgrimage shrine in the whole world for the sick. Lourdes hosts millions of pilgrims every year from all over the world. People seeking healing from every kind of disease and disorder. Evidence of instant and miraculous healings in their thousands are on display: wheelchairs, crouches, canes, etc." 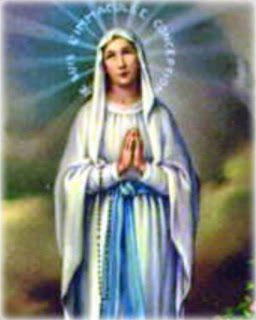 Let us ask Our Lady of Lourdes to intercede for the sick of the world. Our Lady, Health of Christians, pray for us.